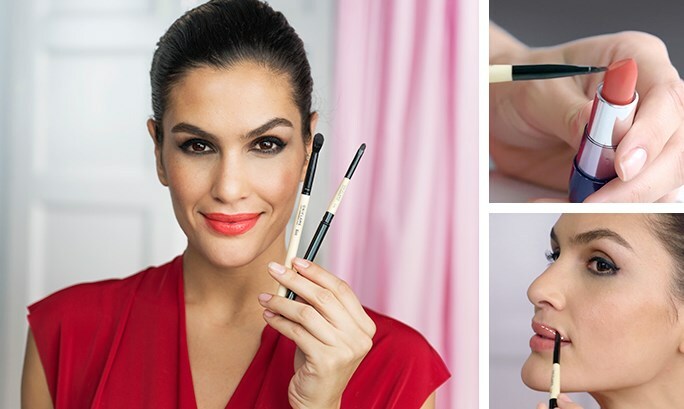 A lip brush might seem like one of those unnecessary beauty tools, but once you uncover its benefits, you’ll want to use it all the time. The lip brush is designed to apply lip colour with precision and to prevent it from smudging. 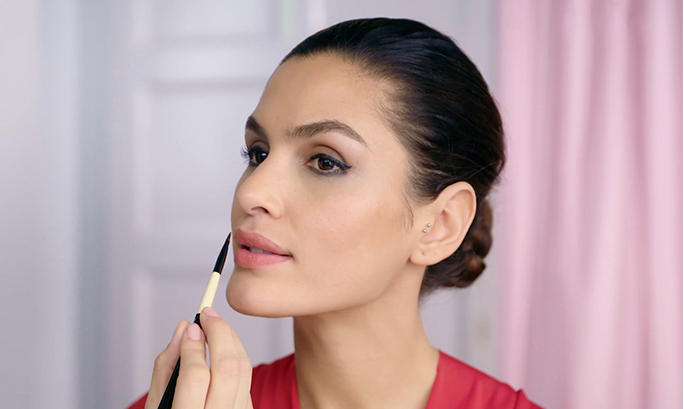 The long handle provides optimum control and the sculpted tip is perfect for getting a flawless line. The bristles are short and form for perfect application. Pick your lipstick of choice and pick up some colour on your brush then apply it to your lips in thin layers. Start from the center and work your way out, so as not to overpower the corners with too much color. This results in even, feather resistant smudge-proof application. 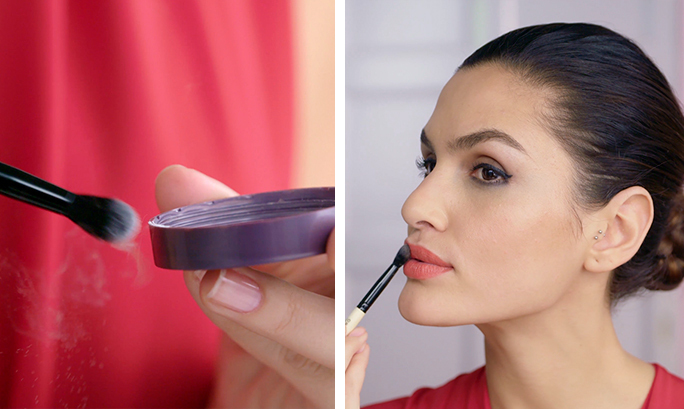 You can also layer your lipstick with the help of a lip brush to improve its staying power. To get a crisp finish, use the tip of the brush to define the lip lines at the bows and corners. For a matte look finish by using a small powder brush and dip it into loose transparent powder. Then carefully dab it over your lips. Voila – Matte lips!